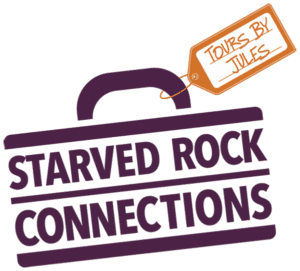 Starved Rock Connections is here to connect you to the area’s top attractions! Our General and Themed Group Tours offer an insider’s look at National Heritage Areas; historic Lincoln sites, Underground Railroad sites, covered bridges, mansions, monuments, and gardens, just to name a few. We are your connection to land, water, and foodie tours; winery, distillery, and brewpub tours; adventure or serenity & wellness tours, shopping excursions, and much more! Talk to a Local Expert Guide for an Insider’s View of the Starved Rock Area & Illinois Route 66.